In honor of the memory of Dr Martin Luther King, Jr. and the United Nations International Year of Indigenous Languages, this talk highlights the place of attitudes towards indigenous languages in the formation and reproduction of the human rights violations seen in recent events involving Central American immigrants seeking refuge in the United States. In 2018, two children died in the Border Patrol custody and a Border Patrol agent shot a young woman in the head. All three were native speakers of indigenous (Mayan) languages from Guatemala. The talk will first outline the history and current state of the issues behind the current immigration by Guatemalan Maya. The central role of language in the creation and current perpetuation of human rights violations will focus on two related factors. The first issue is that of language access. 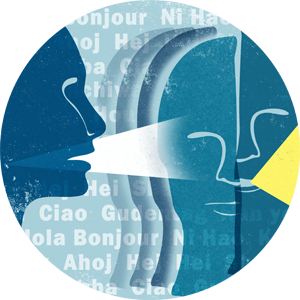 The denial of language access is sustained through negative attitudes towards indigenous languages and the persistent myth of the “desperate need” for indigenous interpreters. The second major issue is the failure to recognize or legitimize indigenous traditions of language use needed in the interpreting context. These include the conventions for holding a conversation, expectations for who should speak in what context, and forms of politeness. Consideration of these issues suggests that equality for indigenous peoples will never be achieved unless we first come to recognize and respect the languages they speak. Warning: to accurately present reality this talk contains graphic content.